Home » WORLD » Free At Last, Free At Last! Jeremy Meeks, a.k.a. 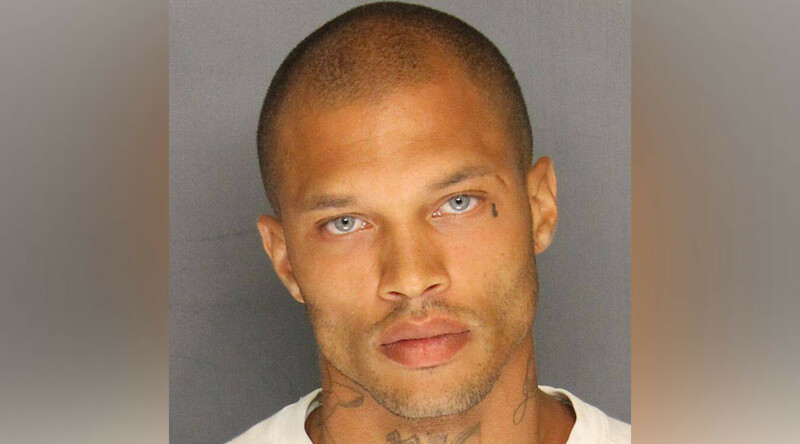 “The Hot Mugshot Guy,” is out of his prison cell and getting ready to sell designer clothes. According to his agent and manager, Jim Jordan, Meeks was released on Tuesday morning from the Mendota Federal Correctional Institution in Northern California. He was greeted by his wife Melissa, their three children and Jordan. “He’s in great spirits,” Jordan told TheWrap. “He’s delighted to be reunited with his family.” Meeks became famous in June after he was arrested on gun and gang-related charges. When his mugshot was posted on the Stockton, California, police department’s website, women (and men) swooned, and Meeks became an overnight global obsession. According to Jordan, a modeling agent at White Cross Management in Los Angeles, his phone has been ringing off the hook with offers from the world’s “top five designers,” as well as TV producers, though he declined to say which ones. Meeks is not allowed to talk to the press as of yet, according to Jordan. He’ll be spending the next month in a transition house. But once he does, Jordan says he expects Meeks to take over the modeling world. “The world responds to beautiful things. Jeremy is a beautiful thing. His striking looks [are] the first thing we noticed. His appeal got the attention of the world,” Jordan said. When Meeks’ mugshot went viral, speculation was rampant about whether or not Meeks, famous for his arresting eyes and tear-drop tattoo, would score a lucrative modeling contract. His mugshot was even photoshopped into several memes resembling ad campaigns for Calvin Klein and Hugo Boss. There were some reports at the time that Meeks had scored a $30,000 modeling deal. But Jordan said that’s not true. “He’ll be scoring them soon,” Jordan said.